Capture 20.2MP photos and Full HD 1080p video beneath the surface with this AquaTech Elite 7D II Underwater Sport Housing and Canon 7D Mark II Camera Body Kit from B&H. The housing is depth-rated to 33 feet and provides mechanical control of the camera's functions. The camera features a CMOS sensor, DIGIC 6 image processors, a top continuous-shooting rate of 10 fps, and autofocus technology that delivers fast, accurate focusing performance for both optical viewfinder and live view shooting. 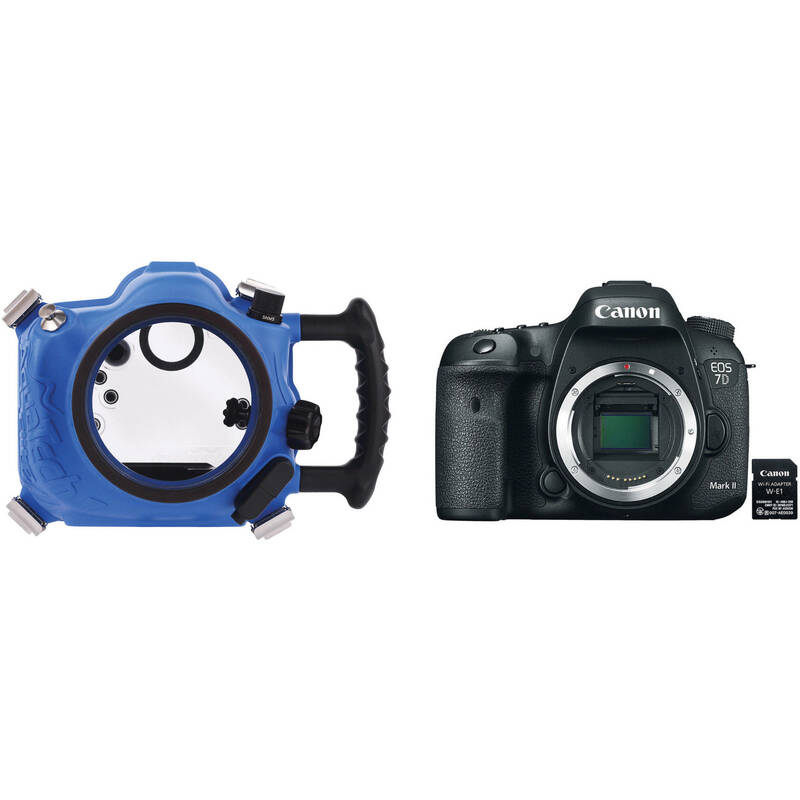 Once you grab your favorite lens, the appropriate port, and a strobe or video light, you'll be ready to start your dive. The Elite 7D II's tactile, mechanical controls provide easy access to important camera functions, and its ergonomic design and side grip offer optimal handling and comfort. An optional Pistol Grip Trigger and 27" Pole Shutter Extension kit offers remote firing capability and focus control, allowing you to capture blur-free images with ease. The pole also affords extra reach when shooting at certain angles. An optional flash bulkhead sync connector, supplied with the flash housing, enables the Elite 7D II to work with optional accessories such as external flash units and pocket wizards. A threaded 3/8"-16 mounting point at the bottom of the housing enables connection to an optional tripod or tray. The Elite 7D II sport housing ships without a required lens port, and accepts a series of screw-mounted ports for the Canon lens series. For complete compatibility information, see this Port Chart. One 3/8"-16 threaded tripod mounting point.